A DMTC project team leading advances in the development of a field-deployable, handheld Point of Care diagnostic device has been honoured with a National Innovation Award in the Combat Equipment and Mobility category at the international Land Forces 2018 Exposition. 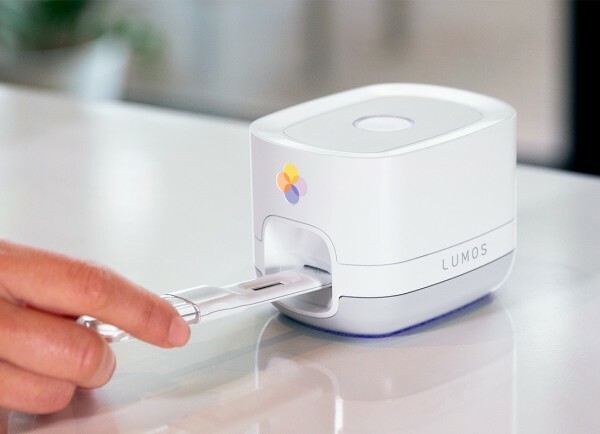 The project involves industry partners Lumos Diagnostics, a wholly-owned subsidiary of Victorian medical technology firm Planet Innovation, and Queensland-based Anteo Technologies with support from research partner Deakin University. CEO of DMTC Limited, Dr Mark Hodge, and Dr Sacha Dopheide from Lumos Diagnostics were presented with the award by the Minister for Defence, the Hon Christopher Pyne MP. “This award is further recognition of DMTC’s track record in innovation, and the way we always keep the needs of the Defence customer at the centre of our considerations,” Dr Hodge said. The DMTC team has worked collaboratively to adapt the existing high-performance test cartridge to allow testing for a panel of defence-relevant infectious disease agents. To date the project team has delivered a fully integrated diagnostic system with improved sensitivity, specificity and performance costs over current solutions. The breakthroughs achieved so far have significantly reduced the time of diagnosis from days or hours to just 10 to 15 minutes. This allows for appropriate responses and treatment regimes to be determined at the point of care, and to limit the spread of disease among deployed force populations. The benefits of this innovation include the option to modify the viral or bacterial target depending on the potential biological threat in an area of operations, and providing a simple, robust piece of equipment that can operate in any environment where forces are deployed. As with many of our DMTC projects, the other clear area of focus for the project is to build and ensure a sovereign industrial base in Australia. In this regard, the project is not only providing an important national health security capability but also creating new market and export opportunities for Australian industry. The system is equally applicable and beneficial to civilian health outcomes as it is to defence and national security outcomes. The next step in the project – to develop the technology even further – has already been approved and is expected to commence shortly.